We recently caught up with the Substance team about ray tracing integration in Substance. 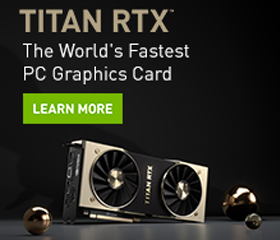 When you first learned that NVIDIA was bringing real-time ray tracing to consumer grade GPUs, what were your team’s initial thoughts? When the RTX initiative was disclosed to Sébastien Deguy (founder of Substance), his reaction was it was the biggest revolution in graphics for the next 10 or even 20 years. How did you update Substance to take advantage of this new technology? We started with accelerating bakers in Substance Designer with a 20x speedup compared to CPU but also invested in AI features with an automatic delighter or shadow removal in Substance Alchemist, leveraging TensorCore for real-time inference. We also wanted to invest in the future in much more advanced hybrid real-time render engines for our products. RTX is great for real-time ray-tracing, but it’s also valuable to game developers as a way to speed up baking. How does this work with Substance Designer? The new RTX-powered bakers will give you unparalleled speed, with bakes that previously took several minutes now requiring just a few seconds. Thus reducing your caffeine intake. In order to integrate this technology we’ve had to change several elements in the architecture of the bakers. This will also allow us to integrate other technologies in the future, which will radically improve the performance of the bakers and broaden the range of supported hardware. 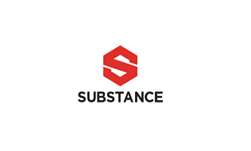 How can developers get access to Substance? New users can try out the entire Substance Suite, which includes Substance Designer, Substance Painter, and Substance B2M, at no charge for 30-days. Following that trial, new individual users will be able to subscribe to the Substance Indie or Pro plans for $19.90/month and $99.90/month, respectively. This also includes 30 monthly materials from Substance Source. Students and teachers can request a license at no cost.